Hola Amigos, How are you all doing? The interesting story of today has just arrived. I’m suggesting you FU*K every other field you’re working on. Be a #ChaiWala. Man! They are ruling the internet and we’re just doing nothing. ? Actually, We’re playing an important role in their success. Yes! We ARE! Very Much! Hurt from the dawn of the heart. Becoming Doctor, Engineer, Designer, architect or anybody is not working. A #ChaiWala is working. You know a very well famous #ChaiWala from India. Our Pride, Our Prime Minister #NarendraModi was a chaiwala once, with all due respect- we know his struggle. 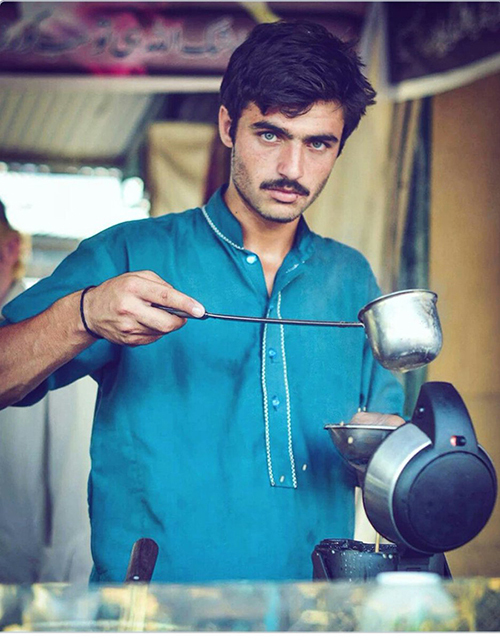 And here is another New #Chaiwala Whose photograph went viral on internet and He became famous in just 2 days, in fact “Some joked that he is more famous than Pakistan’s President Mamnoon Hussain.”. And girls drooling over him has made him an overnight sensation- Now he has signed many multiple contracts in as a Model (probably more than already struggling/established models in PAKISTAN! Yes he is from Pakistan- didn’t I tell you that before?) . The Internet Sensation, Arshad Khan is the new face of Pakistan and became model in just 2 days with only 1 picture posted by an aspiring photographer on instagram Jiah Ali. The Internet is going CRAZY about this handsome looking man. as a matter fact entire South Asian Youth Population. The Man is hired by fitin.pk as a Model. Congratulations! P.S.- And I finally like to request my parents. Do allow me to become a #Chaiwala.